David Wilcock: All right. 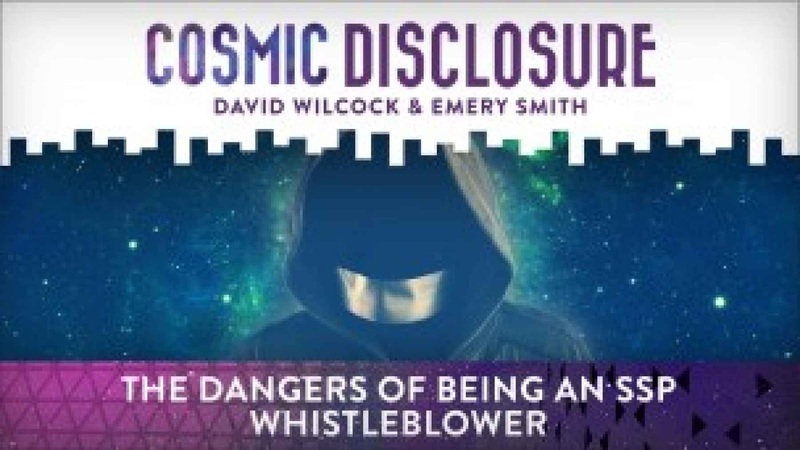 Welcome back to “Cosmic Disclosure”. I'm your host, David Wilcock. And here again with me is Emery Smith. Emery Smith: You're welcome, Dave. Thanks for having me. David: One of the things that we have talked about on Cosmic Disclosure greatly is this idea of a Secret Space Program. We haven't really covered that yet. And it's not a “you can just go . . .” Just like you can't just go from here to Europe without a passport, and a couple of weapons, by the way. So this is also applied to intergalactic travel. So, yes, we do have the ability to “take ET home”. David: As Ben Rich says. Emery: As Ben Rich said. But the ability to actually do it is another story until we start behaving a little bit more proper here on the planet Earth and with evolving our consciousness and stop killing each other, which they all understand – extraterrestrials – because they were here, at one time, themselves. So getting back to your question, yes, we have these craft. Yes, they are anti-gravity, and they can travel through space, but they're not interdimensional yet, that I'm aware of . . .
Emery: . . . so I've not been briefed on that. I know of people [who] say they do have this, but I'm not aware of it – of the craft. So they're just using special propulsion units and other means to create a gravitational force for these devices. A lot of the military devices we have out there, I mean, such as planes and helicopters, those are already installed in these special jet fighter craft. So what's the best way to hide something is don't change the . . . because it doesn't matter what shape it's in. But that could be an actual spacecraft. David: One of the things that Pete Peterson has shared with me is that there are a lot of new crafts that we've seen in various movies, like “Avatar”, like “Edge of Tomorrow”, in which they have turbo fans on them, which sometimes move. And he said that our Naval ships have all been loaded with these covertly at this time, and that eventually, once they roll out anti-gravity, that the jet engines or the propellers will be replaced with anti-gravity engines. I'm curious if you've heard anything like that. Emery: No, I haven't. I have seen different types of schematics for newer craft and ships and for the Navy and Air Force, and whatnot, that do show more of an anti-grav type situation, but not manipulating the current force, because I believe they already have these ready to go. They're just kind of sitting somewhere. And they already have it. It's just I don't know where it's at, or who did it. David: Okay. Another aspect . . . which it's a real shame that we couldn't get you on camera with William Tompkins – he's now deceased – but you have said to me that you have some insider friends who are around Tompkins' age, or maybe a little younger, who might be willing to come forward. So do you think that maybe with you coming out on this program that this will help to set a trend where some others will now be able to come forward as well? Emery: Absolutely. I mean, that's why one of the main reasons was to come out was to basically help other people and inspire them to come out and talk and feel free to talk about some of the things they did with the projects, anything from energy to the extraterrestrials to medicine to all these fantasmical, amazing devices and things. I think by being here, I'm hoping to inspire them, after they see this, to come forward. And I'm going to personally ask them myself to please come forward, or at least invite them to entertain it, or even have a private meeting with you and other people, if they don't want to show their face. David: Well, and as you've seen, once . . . because I've interviewed so many insiders, once we start talking, all these things pop up. David: And I might have heard something 15 years ago that I'll remember when somebody else tells me the same thing, or something very similar. And that's what's so interesting, is to know that you worked on a project for so long and had no idea that this person also was working on a similar project halfway around the world. Emery: And you can actually exchange information finally, freely, without being scared to do so. And just like some of the stuff I explained to you, you already knew some of this stuff. Emery: And you knew I had . . . We've never even talked about it. Emery: So for me, it's even a great confirmation, for me, to know that there's others out there that have spoken to you about these amazing technologies and places, especially the places, which blow me away. David: Like the fact that Ecuador and Antarctica have very similar stuff. David: Yeah, and I've never said that to anyone . . .
David: . . . and we just had it happen on camera. I'm curious about whether you, through briefings or through maybe some of the insiders that you personally know, not including the people we've interviewed on Cosmic, are you aware of there being outposts on the Moon or Mars that we use with these back-engineered craft that we have?